Summertime and the living’s easy—especially if you get the scoop some of the hottest names in home decor and food! I spoke with from famous names like super-cool designer Cynthia Rowley, big-time party planner David Tutera and celeb chef Michael Chiarello about their summery inspirations and warm-weather must-haves. Some even shared lovely personal memories. My fave? 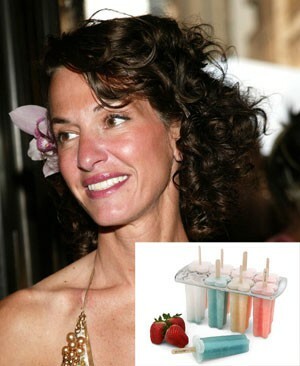 Cynthia Rowley’s simple-yet-chic “pop-tails” are fabulous beat-the-heat treats. Slurp! This entry was posted in Work and tagged celebrities, chef, Cynthia Rowley, David Tutera, designer, editorial, entertaining, feature, iVillage, Michael Chiarello, outdoor entertaining ideas, Summer, web content. Bookmark the permalink.